On a beautiful summer day nothing beats breakfast (or lunch!) on the beach. Purchase without a stand for hanging on the Christmas tree or add a stand for year round display. The AmeriScape ornament is our signature creation. 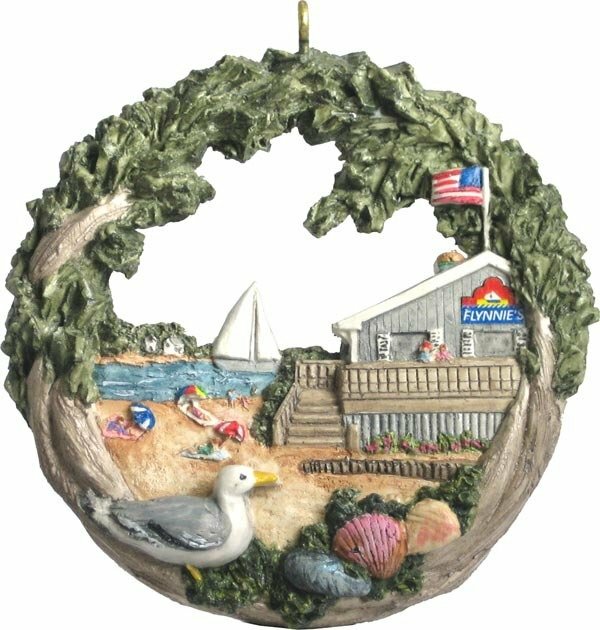 Each wonderfully detailed ornament is individually handcast and hand-painted by Hestia's dedicated artisans, and can truly be considered a work of art. They are 3 1/2" in diameter, made of bonded marble dust, and weigh approximately 3 ounces.